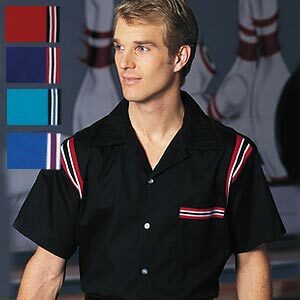 Full front button down style with clear buttons. 50% Kodel® polyester 50% cotton permanent press. Notched self collar. Hemmed opening. Left chest pocket with knit trim matching arm inserts. Styled with contrasting, expandable knit arm inserts for freedom of movement and ventilation. Knit trim may need light ironing after washing.